You are here: Home > LG Phones Launching Late July? 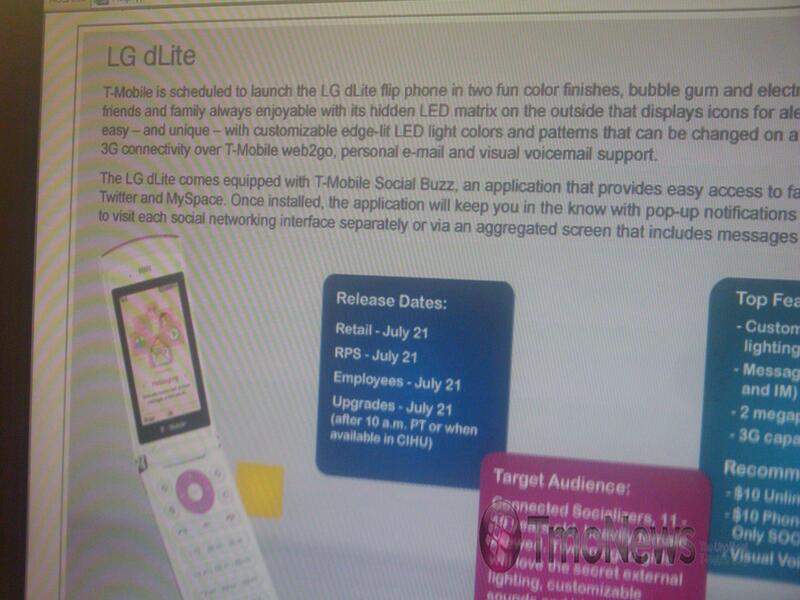 LG Phones Launching Late July? Back on June 15th, we got word via a leaked T-Mobile training calendar courtesy of our friends at Phonedog managed to get their hands on that not one, but two devices would launch on July 21st. We’re working on our own tips that July 21st would include a Samsung Galaxy S launch, aka Samsung Vibrant. So what is the other phone scheduled to launch that day? Unfortunately, it’s not going to induce anything near the level of excitement as the Galaxy S. The LG dLite is a phone that just induces a yawn to the tech savvy first adopter who needs all the bells and whistles. However, to someone who just want a simple phone and I know there are those of you still out there, the dLite may be just what the doctor ordered. Regardless of your phone preference, the mystery of the 21st has likely been solved and while most of you will be waiting ever so patiently for news of the Galaxy S aka Vibrant, we’ll hopefully have our answers if our tipster proves true tomorrow as the next T-Mobile twitter clue should bring us one step closer to a name. ← Congratulations To Our First Scratch and Win Winner! Do you not realize this is what ALL of T-Mobile’s phone are like? Ladies and Gentlemen, the veil has been lifted! project emerald is…. a crappy LG phone! And the peasants rejoice! Ash yes, c’ mon tmo…since this is obviously the only phone whatsoever that will be launched. No, project emerald launches this thursday and is the htc sidekick twist with android 2.1, 16gb internal memory, a 4.3 inch amazing screen, a front facing camera, and a 1ghz processor. It is a high end device and supposed to be really cool from what I hear! Anyway, you’ll see for yourself this Thursday. How do you know this? 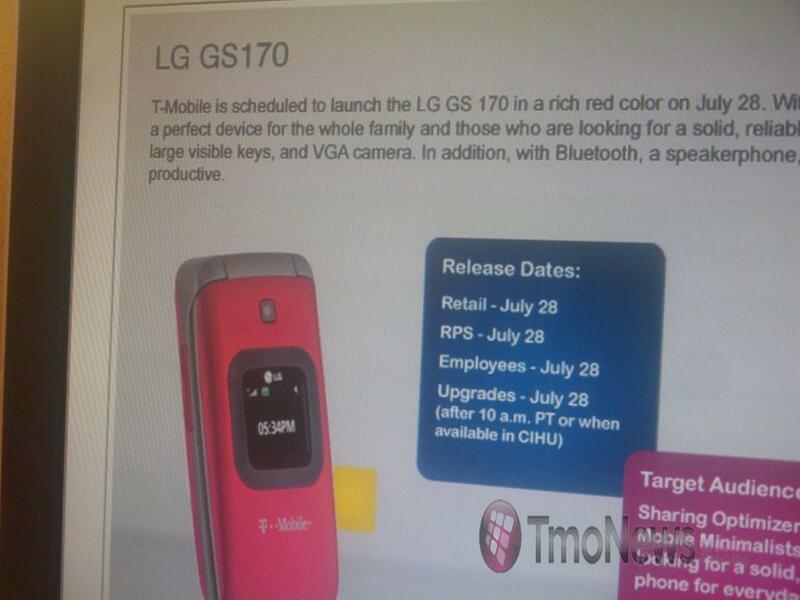 I would think that T-Mobile would keep the sidekick until later this year for the upgrading G1 users… it makes sense. …we’ re watching you jedi……. I saw another comment on a different topic about the sidekick being unveiled Thursday…idk if its the same person bur sure as hell hope they’re spot on. but wouldn’t that announcement hurt the vibrant sales? its been a month since we heard updates on project emerald. what’s up with updates. any picture leaks. then go ahead and jump to vz. there are too many keyboard-less smartphones already. +10 god thank you dale! i wanted to slap @Jonathan when i read that…. no bad blood but i mean come on! we have the crappy cliq and mytouchslide and that’s it all the rest are touch screen only. plus there are only a few #androids period with keyboards.. It is a htc and sk phone though and goin to tmobile so chances are it will have a keypad I’m think some lookin. like a moto flip or a Helio Kickflip. Samsung give hush money(5,000,000 korean won-4088$) to customer whose handphone was exploded by battery explosion in korea.